In this article i have listed 10 free WordPress Wedding Themes, build a beautiful Wedding website easily with these free wedding themes. Do you want to create a beautiful website for your wedding, i have curated a list if 10 Best WordPress Wedding Themes 2016, most of these themes are free, for more advance features you can but premium version. 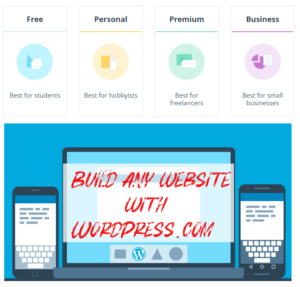 WordPress most popular and powerful CMS lets you build almost any type of website. 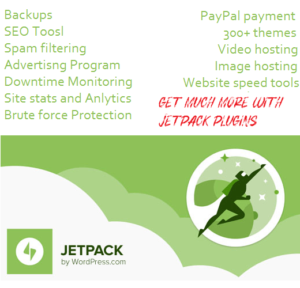 Thousands of free and premium theme and plugins lets you add different type of features and functionality to your website. In this article i am going to list some most popular Best WordPress Wedding Themes. Not all themes offers above mentioned features, but after previewing few themes you can find a Wedding theme that suits your needs. SKT Wedding Lite is a Photography wedding WordPress theme from sktthemes. which caters to marriage, engagement, personal, business and photography or photographer type of clients. It can also be used for other purposes like girlie or feminine websites or blogs. You can not only build wedding website but also also use this wedding theme for photo studio, portfolio or gallery websites. SKT WordPress Photography Wedding Lite Is compatible with Woocommerce, Nextgen gallery and contact form 7. SKT Wedding Lite is fully responsive and mobile friendly WordPress Photography and Wedding theme. it is one of the most popular and best WordPress Wedding Themes 2016. Wedding style is a responsive free WordPress wedding theme designed for the organization and maintenance of WordPress wedding websites and blogs. This free WordPres wedding theme offers Customization possibilities, enchanting color scheme and detailed design elements. These features makes it a great option among responsive WordPress wedding themes. Wedding Style free WordPress wedding Theme offers Multi-part homepage, typography options and image slider allow showcasing the images, guest wishes and other relevant content for a perfect wedding website. Weddings is an elegant, responsive free WordPress wedding theme designed for wedding websites. The Weddings free WordPress wedding theme theme includes multiple pages, homepage slider and gallery support. This free WordPress wedding theme uses special pages to deliver the story of the bride and the bridegroom, as well as wedding details and to create online invitations. The theme can also be used for the wedding photographers and any other event organization websites with its capacity of editable color schemes, layout and styles. The marketing component can be ensured with the help of testimonials and advertisement features. SKT Kraft is another Free WordPress Wedding theme from skTthemes, Kraft Lite is all in one simple and adaptable multipurpose WordPress theme. Kraft Lite is compatible with WooCommerce for ecommerce. You can use this free multi purpose WordPress theme for corporate, business, photography, personal, blogging, wedding and restaurant websites and blogs. Kraft Lite is fully compatible with Nextgen gallery plugin, it means you can create and share amazing photo gallerias on your website. Kraft Pro: A pro version is also available, which offers so many features, including logo upload, 600+ google fonts, layout and slider settings, different home page sections, default gallery, blog layout and more. You can build corporate, business, photography, wedding and restaurant websites with this theme. SKT White allows you to change the link colors. So make it suit your style you want. SKT White theme Comprises of easy to use sections on the homepage which make it super easy for your to manage the content on your homepage. Theme options are also one of the most easy to use and you can edit slider, and the homepage content from options. 100% responsive to the last pixel this theme is retina ready and hd ready and has ability to easily edit any part you want. Comes with default parallax slider. SKT White Po: A pro version is also available, which offers so many features, including logo upload, 600+ google fonts, layout and slider settings, different home page sections, default gallery, blog layout and more. Match is a modern and clean free wedding WordPress theme. Match is specially designed for WordPress based wedding websites and blogs. Some of the major features of Match are responsive layout, post formats, featured images, custom menu, sticky posts and custom background. Match is also suitable for personal, portfolio, travel and photography websites. A pro version is also available with more advance features. Unite is a clean, modern and fully responsive WordPress wedding theme built using Bootstrap 3 (Most popular CSS framework to create responsive layouts) which makes it optimized for small screen devices e.g tablets and mobile. It is a highly customizable theme with unlimited color variations that can be tweaked via simple yet powerful Theme Options. Theme has a built-in Popular Posts Widget, Infinite Scroll (powered by Jatpack) and translation support. Unite Wedding WordPress Theme is now available in German and French language. This free WordPress wedding Theme features fancy image slider, SEO friendly structure, logo support, social links and widgetized homepage. Unite wedding WordPress theme was built to be used for wedding related websites but can be tweaked to be used as any other image-centric blog such as travel, photography or portfolio. Unite theme now supports WooCommerce to create your own eStore. Sugar and Spice is a free chic, feminine theme created with wedding blogs and wedding industry in mind. This free WordPress wedding theme includes option to upload your own logo & favicon, customizable colors and background, 3 different layout options. Sugar and Spice free WordPress wedding theme is mobile friendly and fully responsive. This free WordPress wedding theme is Perfect for wedding related businesses – event planners, florists, photographers, cupcake shops or bakeries. Forever is free WordPress wedding theme from Automatic. This free WordPress wedding theme makes it easy to wrap your wedding up in a neat little package with WordPress. You can show off every one of your best photos and highlight each important detail leading up to the big day and beyond. Ever After is another free WordPress wedding theme. This free WordPress wedding theme is created by Automatic, company behind WordPress CMS. This is a child theme of above listed Forever WordPress wedding Theme. Ever After is a wedding blog-centric WordPress theme decorated with subtle but gorgeous textures and ornaments. The wide one-column layout is great for photos and videos of your wedding or your wedding plan that you want to share with family, friends, or the world. I have found one more beautiful WordPress theme for wedding purpose which is TwoGether Pro. It have all features what you need in any wedding site like RSVP and Guestbook, Countdown, Blog about your wedding, Location and much more. I hope that you will love it.